Today we have a revolution in the area of publishing, one which not many of us saw coming. The revolution, of course, is only getting the publishing world to go to a better situation than ever. You have options, tools, and more importantly, input languages which make life easy for publishers. 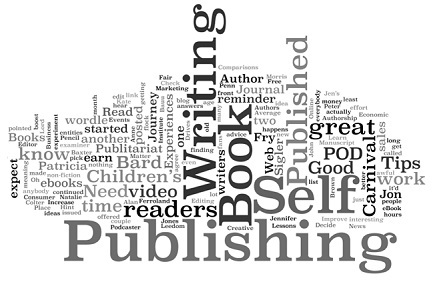 The fact of the day is that eBook is something of a boon to publishers. They are bringing out books and changing the way we read like never before. You have eBooks about almost anything, available both for free and at a cost online. You may get these books to work for you instantly, as you can buy them within seconds. Naturally, with such ease of use, came complicated back end solutions for it. As with any other change, you get thousands of options each passing day. Formats like XHTML will define the future as we know. 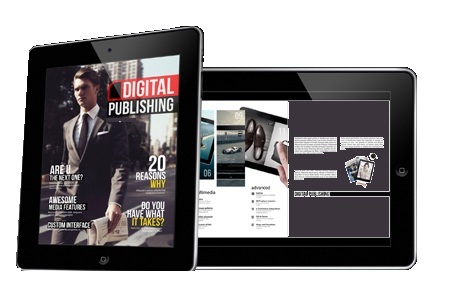 When you look at the way the eBooks are being made, you will be left amazed. You can practically convert every technology you have around you to reflect in eBooks. All you may need is a proper language that can help. When we say support, the language needs to have a high load of features which adapts for media. Thus, media here shows you the capacity to support Audi-Visual content, Graphical content, and many other features. What you want to see in a book and something more, is to be put in digital format. And to do those functions, languages like HTML, XHTML, SVG, etc. come into play. They allow you to get almost any file to get the eBooks which will help you read the book in a whole new way. When we look at the origins of XHTML, we will have to take a look at HTML origins. As the world became more aware of the worldwide web, there was a requirement for the unified format for it. You could publish anything you want to the web, but that was not all. Everything you had on web needed to have a form and structure. Therefore, publishers worldwide came up with a solution called HTML. Hypertext Markup Language gave you the freedom to publish easily but within the frames. After that came XHTML which became the next version of HTML. To be precise, we can say that with HTML 4 documents bringing it to the fore, innovation, XHTML expanded on it further. At this context, we will have to see the guidelines of W3C consortium. W3C continuous to maintain HTML 4 documents types. It also maintains specifications for HTML 5 and the twin format XHTML5. 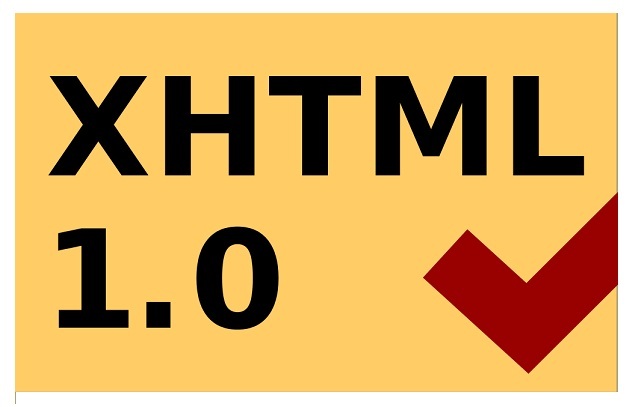 As we can see from the web summary we have for XHTML, it is perhaps the next step in the evolution of the internet. In the present scenario, by migrating to XHTML today, you are trying to get technology to work for you. Now, the biggest advantage you will have is when you are a content developer. If you are a content developer, you get the confidence of backward and future compatibility of content, with this web format. In 2005, the Web Hypertext technology working group, ( WHATWG ) came with some guidelines. They discussed on adopting measures for making our web experience all the more engaging. In this context, they spoke about HTML formats as well. They gave out a statement, which asked Publishing companies, to adopt and work on Ordinary HTML, and not XHTML. Thus, favor towards HTML was shown. However, a few years later, they realized the potential of XHTML. Eventually, they gave in to logic and started working on developing XHTML as well. The growth of XHTML was taken up as a parallel measure of HTML. At this point, w3c allowed XHTML2 to expire on its own. Over the timed, they found that HTML5 was the next step in working on web content. And this development came for both SML and Non-SML serializations as well. W3C came out to suggest that HTML syntax makes most of the eBooks and Online publication in order. And this came to have the results of not using XHTML syntax. You no longer could use XHTML for your publishing needs. But then, most of the publishing was still had the need which HTML on its own could not cater to. Thus, XHTML came about to exist again. Publishers initially came out with XHTML, to make it easier to use when compared to HTML. Thus, it was supposed to be more extensible and increase output, with less of trouble. Obviously, with HTML in place, you had many publishers complaining about the crash in servers, or slow load times. We’ve already seen that HTML 4 was overtly an application of Standard Generalized Markup Language (SGML). Having said that, the specification for SGML was complex, and neither web browsers could properly use it. Also, the HTML 4 recommendation was fully conforming to it. If you could see from the start, the XML standard, approved in 1998, provided a simpler data format closer in simplicity to HTML 4. However, by shifting to an XML format, the publishers was hoping HTML would soon work in tandem with standard XML tools. You could see that the servers and proxies would be able to transform content, as per the needs. When we say needs, we mean the necessity of screen sizes and layout for mobile phones. By using namespaces, XHTML documents could provide easily by including fragments from other XML-based languages such as Scalable Vector Graphics and MathML. Finally, the renewed work would provide an opportunity to divide HTML into reusable components (XHTML Modularization) and clean up untidy parts of the language. Thus, XHTML became more of a solution than a problem as previously thought. And with HTML5 coming to the fore, XHTML as well gained much of its fame. 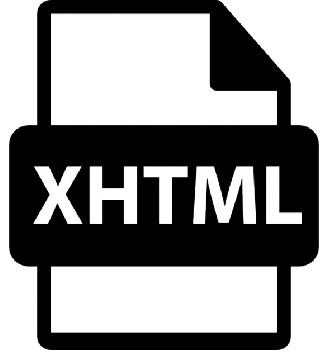 Although you have differences between XHTML and HTML, there are many factors which draw parallel for both these formats. The major factor which comes up is Document Object Model (DoM) tree structure. Now, what is DOM? Well, let’s say that you are publishing on a web page. All the content that you immediately want the user to see is placed on the front page. However, when it comes to additional content, which though throws back at the front, is a different matter altogether, what do you do. You will then have to connect the both pages with some logic. This is where Document Object Model comes into play. You get DOM to do the work for you regarding bridging content. Both, XHTML and HTML bring you this facility of interconnecting pages and content, without any deviation. However, when we look at how DOM is being used, we can say that there is an essential difference between HTML and XHTML. Of course, with many being constant, XHTML’s syntax is a little more free than HTML. What we mean is, DOM is a bit easier to use when it comes to XHTML. Perhaps, one other difference in the way the both formats work is the syntax present in them. XHTML uses an XML syntax while on the other hand, HTML uses a pseudo-SGML syntax. This starts off a chain of greater differences. Also, as the outward contents of DOM in syntax are slightly different, there are some changes in actual behavior between the models. Of course, you have the syntax difference which you can go around with. But that just becomes a small part of the larger difference arch. 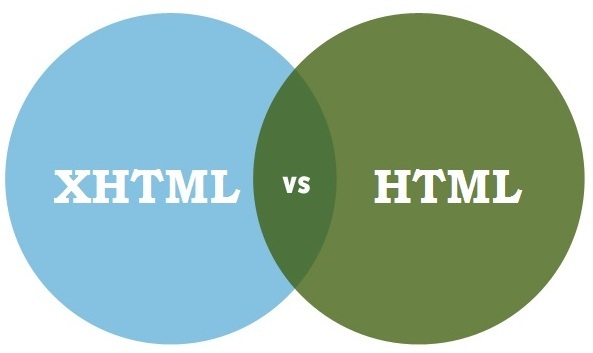 With XHTML and HTML, the difference extends beyond the usual. On one side, HTML permits some elements to remain open in its syntax measures; this is not the case with XHTML. So, XHTML uses a self-closing syntax work which works to be a bit restrictive than HTML. Although, this feature which allows you to connect more efficiently with the internal setup, it still is a deciding factor. In this context, we will have to understand that XML is a case-sensitive text format. On the other hand, HTML derives a more free approach to dealing with the codes. HTML supports all types of fonts and text inputs. We can say that HTML has many more shorthand features than XML which forms the base for XHTML. Some of these features are attributed minimization, where attribute values or their quotes. The next feature which draws to make a greater impact between these two formats is element minimization. Element minimization is a feature which allows you to remove items entirely. This is a native feature of XML and therefore comes close to bringing XHTML as getting an edge past. Thus, HTML is somewhat a lag behind when you come across the features. XHTML is a far easier vehicle to use element minimization. This is referred to as ShortTag. However, we can see that not many multiple web browsers that we use today go on to use them. Of course, there are several other technical needs which HTML5 and XHTML cater to separately. In contrast with these minor technical differences, there are some behavior differences as well which mostly arise from base structures for either of them. The most important feature which you will see is in the serials. Most of the content requiring namespaces won’t work on XML. If you look at the minor script changes, you will see that XHTML with small changes in case sensitivity to some functions edges past HTML. Furthermore, precautions to restrict processing to well-formed content are also factors in drawing the contrasts. Scripts must not use the document.write() method; it is not available for XHTML. The inner HTML property is available, but will not insert non-well-formed content. On the other hand, it can be used to insert well-formed namespaced content into XHTML. Scripts must not use the document.write() method; it is not available for XHTML. The innerHTML property is available, but will not insert non-well-formed content. On the other hand, it can be used to insert well-formed namespaced content into XHTML. One other feature which makes them stand apart is Cascading Style Sheets (CSS). CSS is used or rather applied differently in either case. Due to XHTML’s case-sensitivity, all CSS selectors become case sensitive for XHTML documents. Some CSS properties, such as backgrounds, set on the body element in HTML are ‘inherited upwards’ into the HTML element; this appears not to be the case for XHTML. XHTML and CSS have the potential for providing a light-weight, accessible and free alternative to existing formats. A lot of the authoring tools are free, and for editing a document, a simple text editor often suffices. The trend has been to separate content from style in the document, which strongly improves the readability of both. A drawback is the learning curve, which is similar to LaTeX: you have to learn the syntax. This brings us to the level of accessibility which Concerning accessibility: documents written in XHTML and CSS can be viewed by most modern standard web browsers, so no special program is needed. So theoretically the format is very accessible. A major problem, however, is that the support for the standards may strongly vary between the different programs: from no support to full support. In practice, this means that there is no guarantee whatsoever that the person viewing your document gets it displayed correctly. Apart from this, you can be pretty much sure that the documents will have their content easily transferred. Anyone who is adept at eBooks and its culture will know that MathML is a markup language specially designed for creating equations on the web. That is perhaps the particular format which will allow you to render equations easily. However, MathML is restrictive when it comes to devices supporting it. You may assume here that MathML is currently only supported by the Mozilla and Amaya browser. MathML has several advantages and disadvantages. MathML is powerful and can create complicated equations. However, it’s the editing part which requires a special editor because the markup can be very complex and bandwidth intensive. Naturally, this makes it very difficult for editing by hand. One other disadvantage, we have is the way the language mixes content with markup. The usual trend we have has been to separate style from content by introducing XHTML and CSS. Apparently, MathML does not fit into this trend. You may attempt to resolve this editing problem by utilizing special tools which we get in Amaya. One other way we can do that is by exporting them to special tools available in LaTex, with some risks involved. You can opt for this option if MathML fails in your purpose. Consequently, You can use XHTML and CSS codes to include and resolve mathematical equations. You can use MathML to support XHTML wherein a lot of mathematic markups can currently be achieved with a combination of XHTML and CSS. The major advantage you have when you use the combination of these two platforms is that they are easily editable. Also, they are pretty much easy on the bandwidth. The complexity of the equations is limited though and does not yet compare with the possibilities of MathML. You can improve the specifications for CSS3 which include modules for Math. However, when you get hold of the code inclusions, you can go ahead with XHTML to work for you in MathML projects. Thus, you get more than your deal when you unlock the potential of XHTML in coding for mathematical projects. The idea behind XHTML was that the best way to make websites work better. Also, you had the idea of making something to be more consistent between browsers, and thereby make people follow the rules in the writing of their markup. Since programmers must conform to the strict rules of their programming language, it seemed logical to the creators of XHTML that the same sort of rigidity should be applied to web page creators. However, this ignored the entire reason that the web became so popular and grew so quickly. After all, the web was supposed to be easy. The idea was that you could publish web pages within a few clicks and open what you did on the simplest of browsers. With the new restrictions, the reason for digital publishing became more complex, for formats like PDF, RTF or ePub. However, with Professional publishing company like us by your side, you don’t have to worry about anything. You just have to focus on making your content as excellent as possible. Let us take care of all the technical aspects involved. Drop us a mail now and let’s get to business.